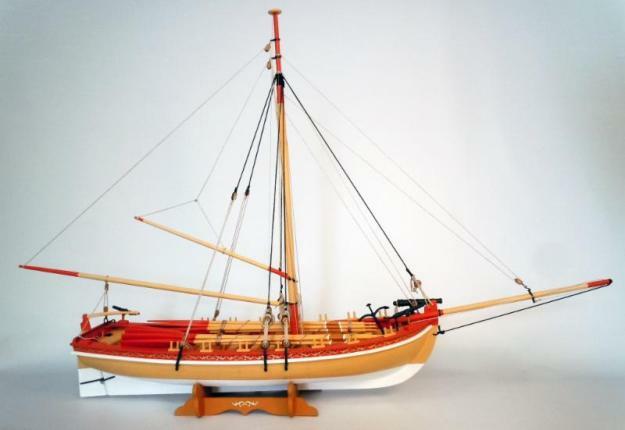 Here’s a new one from Model Shipways that you might want to try if you’re looking for a simpler build. Just announced! 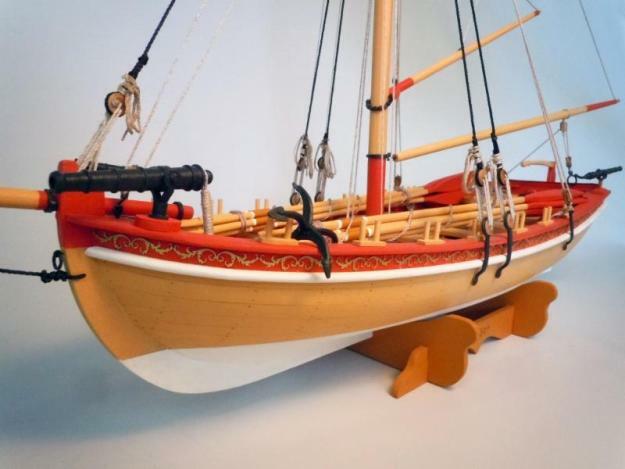 I just saw a post on Model Ship World announcing this new kit from Model Shipways. This is basically a larger, armed version of the Chuck Passaro-designed 18th Century English Longboat kit. The original kit was a 1/4″ scale, or 1:48 scale, model that measured just under 12″ long. The new kit is produced at 1/2″ scale, or 1:24 scale. The new kit is then just about 2′ long, which should make it an easier build for beginners. I’d add that while many people call the original kit a “beginner” kit, having built it, I would never recommend it for beginners. The only thing that might be okay for beginners in that kit was the simple rigging and the low price. However, this kit’s size should make it much easier to work on, still retaining the simple rig and relatively low price of $119.99.